A battle between the U.S. government and China is now brewing in the market for semiconductors, the foundation of electronics. The U.S. alleges that China is rigging the semiconductor market in its favor by indulging in unfair trade practices. "This unprecedented state-driven interference can distort the market and undermine the innovation ecosystem," Penny Pritzker, U.S. secretary of commerce, said during a Wednesday event organized by the Center for Strategic and International Studies. The Chinese government is using its own resources to artificially reduce chip prices, which is hurting global competition, the U.S. alleges. Pritzker called on China to play fair and in accordance with "global trading rules," with healthy competition and free and fair trade, not through state investments aimed at distorting global markets. China has rigged markets before, notably the steel, aluminum, and green technology, Pritzker said. China invested government resources to displace foreign companies in its market, which led to overcapacity in the global marketplace and artificially reduced prices. That cost jobs in U.S. and around the world. In 2014, China announced it would spend US $150 billion to expand the share of Chinese-made integrated circuits in its domestic market from 9 percent to 70 percent by 2025. The U.S. is also seeing new attempts by China to acquire companies and technology based on the government's interest, not commercial objectives, Pritzker said. Semiconductors help drive the development of faster and advanced computers, robots, drones, and self-driving cars. Companies reinvest in research to develop faster, smaller, and cheaper chips and also in factories to make those chips. 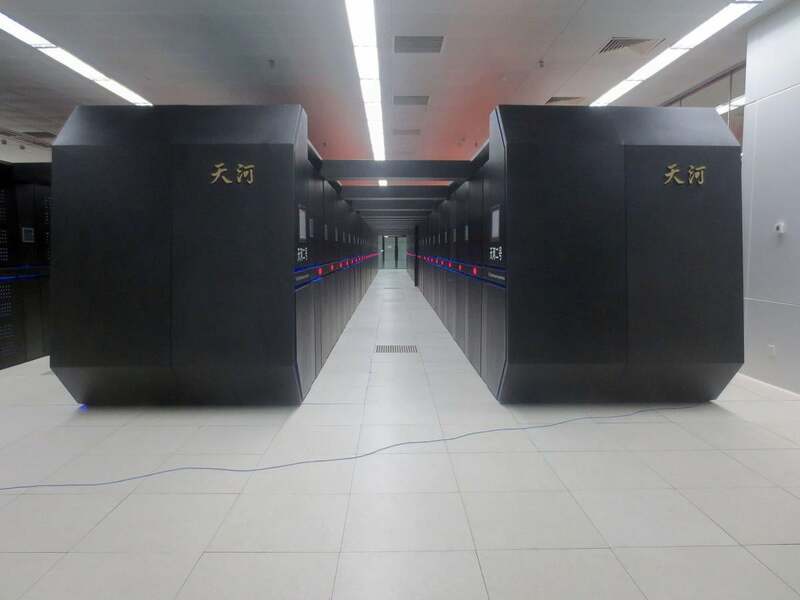 A Chinese homegrown chip is being used in the world's fastest computer, and the country is also funding the development of low-cost semiconductors. The Chinese investment has hurt U.S. companies, which have had to cut prices to be competitive, the U.S. government says. U.S. companies have also had to cut investments in research and development. The U.S. in the past has blocked the exports of chips for Chinese supercomputers. The country has also security concerns about Chinese products. U.S. government officials are alarmed at the number of roadblocks China has established for U.S. companies to compete there. Partnerships are the way companies like Advanced Micro Devices, IBM, Hewlett-Packard Enterprise, Dell, and Intel can sell products in the Chinese market. Chinese government organizations now have access to all major chip architectures including x86, ARM, and Power through those partnerships. "No government should require technology transfer, a joint venture, or localization as a quid pro quo for market access," Pritzker said. The White House earlier this week organized a public-private Semiconductor Working Group, which will provide policy recommendations and a roadmap for chip research and development. The group will provide its final recommendations before President Barack Obama leaves office in January. Annual semiconductor sales globally total about $300 billion, and about 250,000 people are employed in the industry in the U.S. Semiconductors have a major effect on many other industries like manufacturing, electronics, automobiles, and IT. To maintain leadership in semiconductors, the U.S. government needs strong trade policies, tax reform, and high-skilled immigration reform, and those issues may be addressed after the upcoming election, said John Neuffer, president and CEO of the Semiconductor Industry Association. The government could also help push standards developed in the U.S. to other parts of the world, said David George, senior manager for wireless technologies at General Motors. That could reduce the cost of making products and help the U.S. be ahead on the innovation curve. To meet the challenges from China, the U.S. should double down on research in universities, added Ted Dean, assistant secretary of commerce, industry, and analysis at the U.S. Department of Commerce. During her speech, Pritzker said the U.S. government is an enabler for U.S. competitiveness and innovation in semiconductors, not a "driver" like the Chinese government.